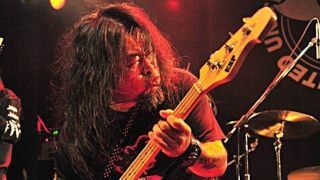 Akihiro Yokoyama of Japanese metal band United has died suddenly at the age of 49. The bassist, who was also their main creative force and manager, passed away on Tuesday, it’s been confirmed. Yokoyama joined the band in 1983 when they were a Black Sabbath and Judas Priest tribute outfit. After he joined they began writing original material and released nine albums, their most recent being 2011’s Tear Of Illusions.